News first emerged in mid 2010 of a plan by the Tanzanian government to build a road across the Serengeti, the consequence of which would be a large scale disruption to one of the largest land mammal migrations on Earth. “The state party confirms that the proposed road will not dissect the Serengeti National Park and therefore will not affect the migration and conservation values of the property”. Unfortunately, the groups publicising this apparent victory failed to read the letter in further detail. It would appear that when the letter is read as a whole, the road building will actually continue but there is a government concession that the road will be gravel, not tarmac and that it will be “mainly for tourism and administration”. There are some fears that the road will precipitate the easier transport of important minerals and oil and lead to a new sea port being built. Although this is simply conjecture at this point, it is important that conservation groups keep a keen eye on developments because it is believed that the building of a fenced highway will cut numbers of wild wildebeests from around 1.3 million to just 200,000 in the area. Back by popular demand is the production of Midsummer Night’s Dream at Trelissick Garden near Truro, Cornwall. If you arrive early enough you may well catch a glance at the Red Arrows speeding overhead as part of Falmouth Week. Booking is essential and incurs a £1 booking fee. The National Trust has launched a free iPhone application that helps you to find the nearest National Trust location to visit based on where you are in the country. If you are stuck for ideas or simply overwhelmed by the choice of over 400 different National Trust locations to choose from then the official National Trust iPhone app will help to simplify things for you. The app uses the GPS function that is built in to the iPhone software (you can also use the iPad or iTouch if you have a suitable WIFI or 3G connection) to determine where you are located and the sites that are in close proximity to you. 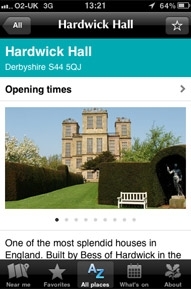 To help you to decide which National Trust maintained properties, gardens or coastlines to visit, the app provides the user with a great deal of useful information that can help to inform the decision such as site opening times, prices, facilities, cafes, disabled access, baby changing/feeding areas, etc along with contact and address details for the location. Different events are listed and updated regularly so you will be informed as to what is happening at National Trust sites and you are able to share details from the app with friends via Facebook or Twitter. A useful feature is the implementation of Google Maps into the app. This means that the app can provide you with driving directions to the location very simply. 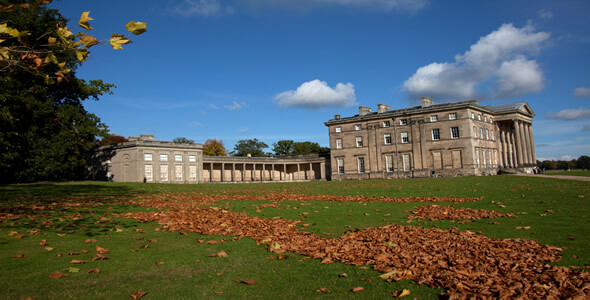 If you want to travel further afield you can search for National Trust sites within 40 miles of your location or if you know where you want to go you can use the A to Z search facility on the application to find the details of the attraction. 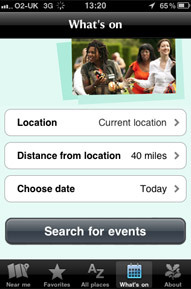 The official National Trust iPhone app is an invaluable piece of software if you have an iPhone, iPad or iTouch. 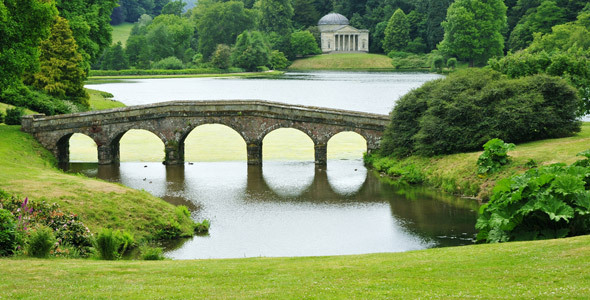 If you are currently a National Trust member it can help organise your days out and give you ideas for new locations to visit. 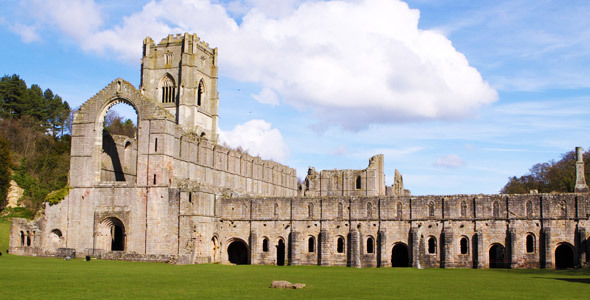 Even if you are not a National Trust member it can give you a great insight into what the National Trust has to offer and it is a free app after all! The app can be downloaded free from iTunes by clicking here. Click here for more details about National Trust membership. An Indian government report entitled Status of Tigers, co predators and prey in India, 2010 was released last week showing results suggesting that the native tiger population in India has grown from an estimated 1,411 in 2006 to 1,706 which constitutes a 20% increase in numbers. On the other hand, the report went on to say that although tiger numbers have increased, their natural habitat has declined. The report which constituted the largest of its kind included all of the 17 tiger states and involved 477,000 work days by forest staff and 37,000 work days by professional biologists. “After the 2006 pan India tiger population estimation, the present exercise is even more comprehensive in terms of the area covered and methodologies used. The involvement of conservation partners, including WWF, has led to broad based efforts and built a stronger constituency and capacity for tiger conservation in India,” said Mr. Ravi Singh, Secretary General and CEO of WWF India. Although the results on the increase of tigers is encouraging, the reported 12.6% reduction in the tiger’s natural habitat is a major area of concern because it will squeeze the tiger population into an ever dwindling environment which could lead to a loss of genetic exchange between future populations of the big cat. WWF India worked with the National Tiger Conservation Authority (NTCA) to formulate the massive survey and clearly more work is needed to help preserve the natural habitat in the region. Do you bit to help by sponsoring a tiger through the WWF adoption program.